A variety of Designer Studio enhancements allow application designers and developers to produce applications faster. An application created in 6.2 SP2 using best practices will require creating and testing significantly fewer activities than the same application if implemented in an older release. Continuing a strategic direction introduced in 2010, 6.2 SP2 provides additional facilities that reduce the need for custom activities in your applications. See Nine tactics to reduce your need for custom activities. A faster and simpler alternative to the Application Accelerator, the completely redesigned Application Express lets you develop prototype applications and experiment with PRPC features after entering only a few fields. See Using the Application Express to prototype applications. 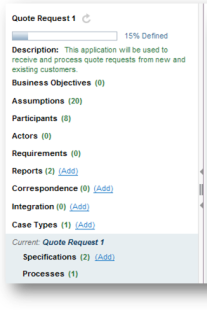 Business analysts and others on the development team can continue to evolve the Discovery Map view of application flows after the Application Accelerator or Application Express completes. The Discovery Map view is available in the Case Designer landing page and (equivalently) on the Design tab of the Flow rule form. An enhanced presentation of the Discovery Map supports editing, by providing additional graphical notations and cues. For applications produced by the Application Express, using the Discovery Map view, you can create section rules and properties useful for prototyping. 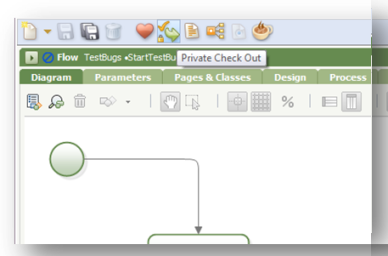 You can execute the primary path flow (still in draft mode) to demonstrate to stakeholders and obtain their feedback. Use the new Profile Explorer to obtain quick access to the business-related assets and profile-related elements of the current application, as well as enter specifications for various areas of the application. 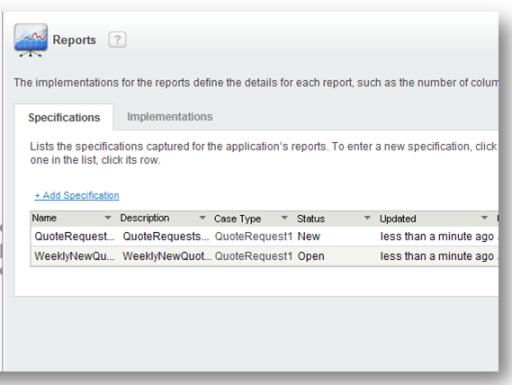 You can enter specifications for reports, correspondence, integration facilities, and case types. In contrast to the approach used in earlier V6.X versions, your team can continue to evolve these elements throughout the development of your application. 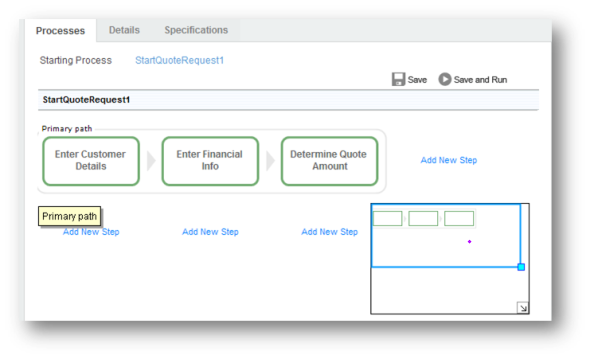 Throughout the evolution of your application, you can add specifications of reports, correspondence, integration facilities and other parts of your application. As the development effort produces rules that implement the specifications, you can link the specifications (for certain types) to the implementing rule. A branch is a container for RuleSets with rules that are undergoing rapid change and development. The RuleSets associated with a branch are called branch RuleSets. Branch RuleSets allow two or more teams to work on rules within the base RuleSet at the same time. When any team reaches a milestone and wants to incorporate the branch rules into the mainstream application, they can use the new Merge Branch wizard. See Using branch RuleSets and merging for parallel development. 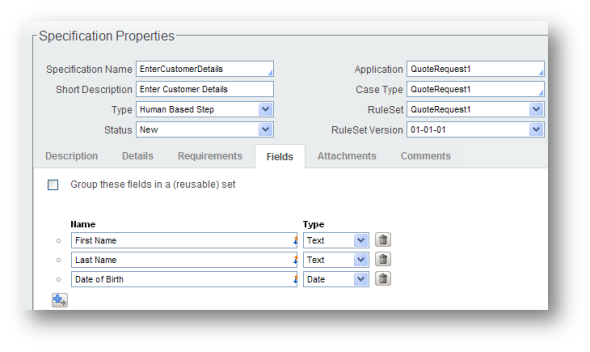 Complementing the standard check out capability, private check out allows a developer to prototype or test changes to a rule that is not available for a standard check out (such as when the rule is already checked out to another user, or is in a locked RuleSet version). If and when changes are made and tested, complete, the updated rule can be checked into the original RuleSet version, if not locked, or to an eligible RuleSet version. Two new icons appear in the toolbar to identify private check out and private check in. The rule form notes the status of a privately checked out rule. See When and how to use the private check-out feature.